Absolute blight, 5 to 13 millions tonnes of plastic end up in the oceans every year. Even though the European Union has just presented new measures to reduce single-used plastics, Surfrider Foundation Europe calls out European cities to act for the reduction of pollution due to plastic bottles. Among other measures, the proposition prognosticates that 90% of plastic bottles will be collected before 2025, and that cups consumption will be reduced. Each country should set up appropriate actions to achieve this objective. An example could be setting up a system of deposit in order to optimize bottle collection. 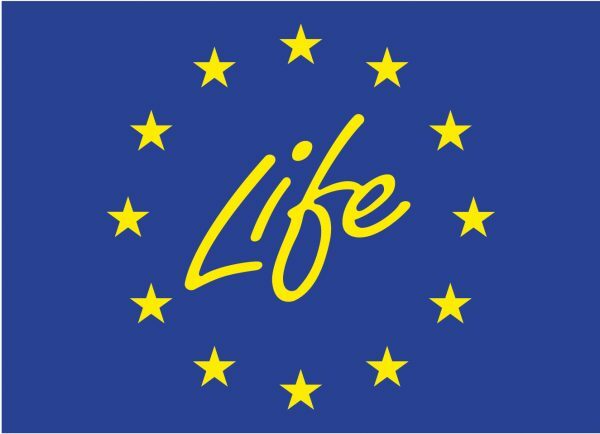 Moreover, the European Commission suggests the lowering of the consumption of certain products, as well as the obligation for States to use labels which increase citizens’ awareness. In general, each of these measures aim to reduce the most founded garbage collected on the European beaches. These suggestions will then be discussed, and amended by the European Parliament and the Council of the European Union. 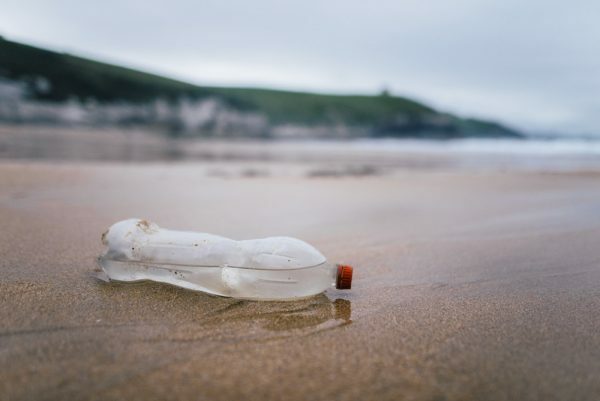 Surfrider Foundation Europe, coordinated with other NGOs, will act within the European coalition, Rethink Plastic, so that the text will be reinforced, especially thanks to numerical targets. The best way to efficiently diminish waste, is to reduce, at the source, the production and the consumption of plastics, notably the single-use ones. Cities, thanks to their proximity with citizens and their obligation to implement national and European politics, stand as the main stakeholders in the ecological transition. They hold a major role in waste management and waste reduction. The role of cities in the ecological transition was the focus of the Green Week: an entire week dedicated to sustainable production methods which took place in Brussels and throughout Europe between the 21st and the 25th of May. 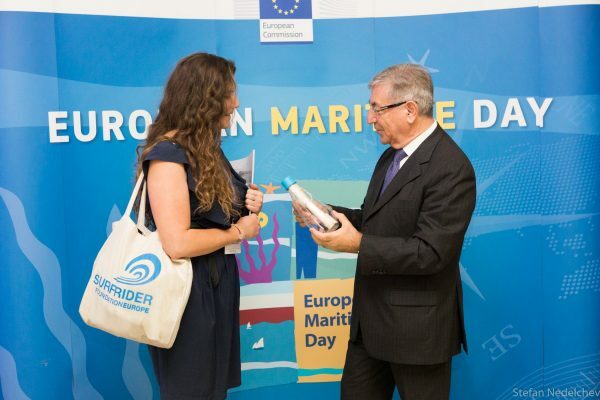 In this instance, Surfrider called out to several European metropolises, notably Burgas and Lisbonne. The intention? To invite them to take actions that will end the use of bottles in working environments (offices, meetings, conferences) or during events occuring in their territory. Plastic bottles are not ordinary packaging. Bottles and their stoppers are among the 10 most founded garbage we collect on the beaches and along rivers. Thrown only after few minutes of utilization, these bottles end up too often in the environment, and represent a real danger for wildlife. Stoppers are consumed by birds and marine mammals, while bottles deteriorate and form microparticles of plastic which contaminate ecosystems. To call for cities attention, and spread the word, Surfrider chose a forceful symbol: a message in a bottle at sea. 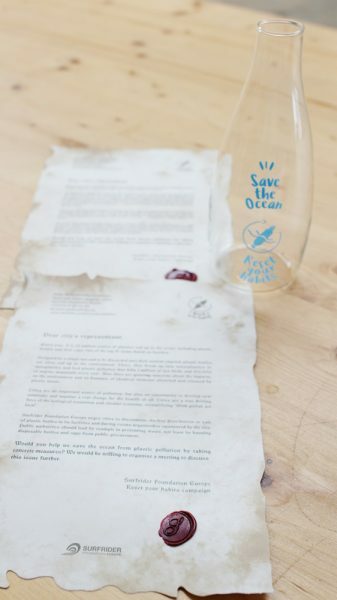 The bottle, aimed for cities representatives and the European Union, contains a letter which calls out public institutions for concrete actions to reduce pollution due to plastic bottles. While European citizens seek for more eco-friendly lifestyles and that the European Union deals with the question of plastic pollution, cities, motors of change, must grasp this dynamic and reinforce their actions regarding the fight against plastic pollution.